It's beginning to look a look like Christmas everywhere we go! Do you know that song aha! I love Christmas, well not the cold obviously! 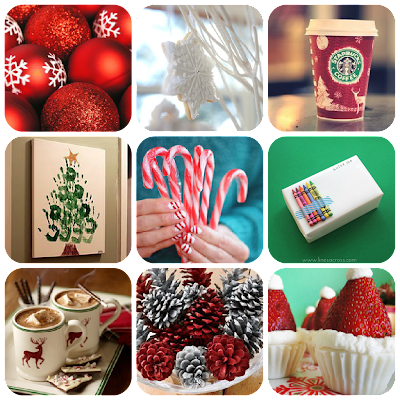 I love going through Pinterest and Weheartit and typing in Christmas and it comes up with amazing picture of things to do and just like general Christmas! Here are some of the best pictures I found! Colour me Packaging, Hot Chocolate, Pine cones and Santa Hat cakes! I love the Christmas feeling and Christmas preparation! I hope you do too! So festive posts from my festive days to come!